When I teach classes here in San Diego, the only homework that I assign is reading. I provide 50 – 60 books per semester for my students to check out each week from my personal library. 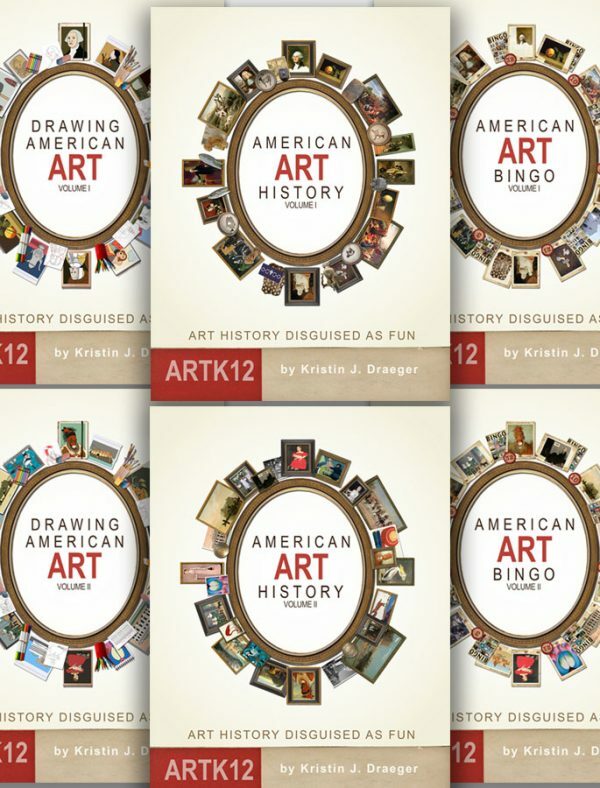 Each book is linked to a piece of art in my curriculum. Content: I expect my students to learn something when they read it. Age Level: I expect the content to be understandable and age-appropriate for my students, but they do not need to be able to read it themselves. Story: I prefer books that tell a story, but this is not essential. There are some very good nonfiction children’s books that can hold a child’s attention. Enjoyability: I expect my students to enjoy the book. If they don’t enjoy it, they won’t read it or if they do read it they aren’t likely to remember what’s in it. I also check customer reviews on Amazon and see if other readers enjoyed it. 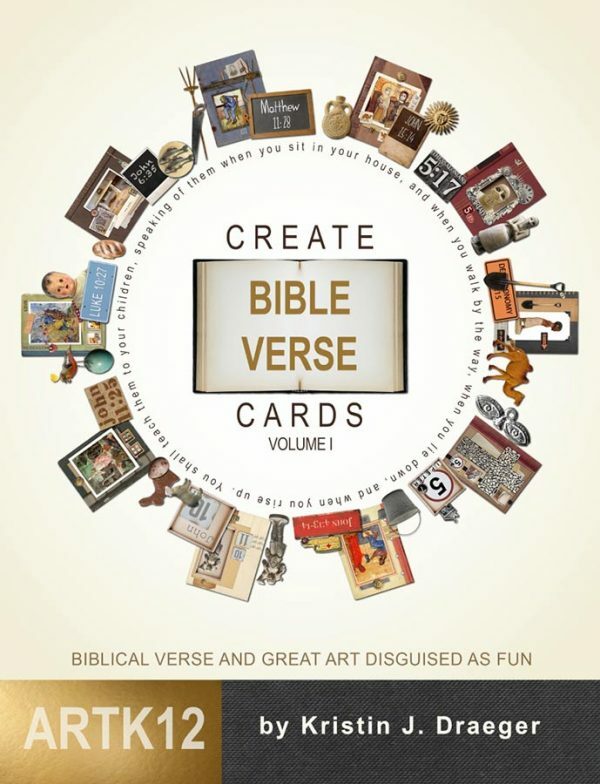 Essentially, I choose what Charlotte Mason referred to as “living books.” These are books that teach while they engage. They are not textbooks, but books written for children, books that have to compete in the real world for a child’s attention. In the first chapter of American Art History: Volume III I discuss the White House as a piece of Federal Architecture. 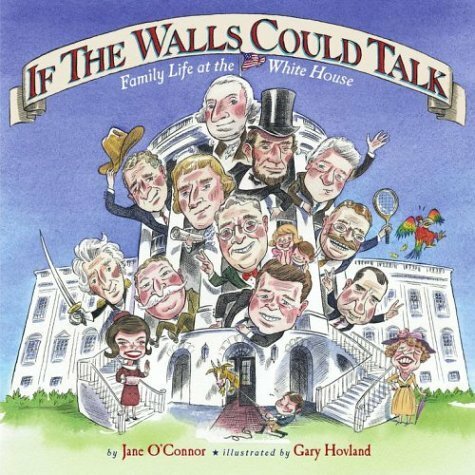 In searching through many titles of children’s literature I came across one book about the White House that I recommend above the others: If The Walls Could Talk: Family Life at the White House by Jane O’Connor and illustrated by Gary Hovland. 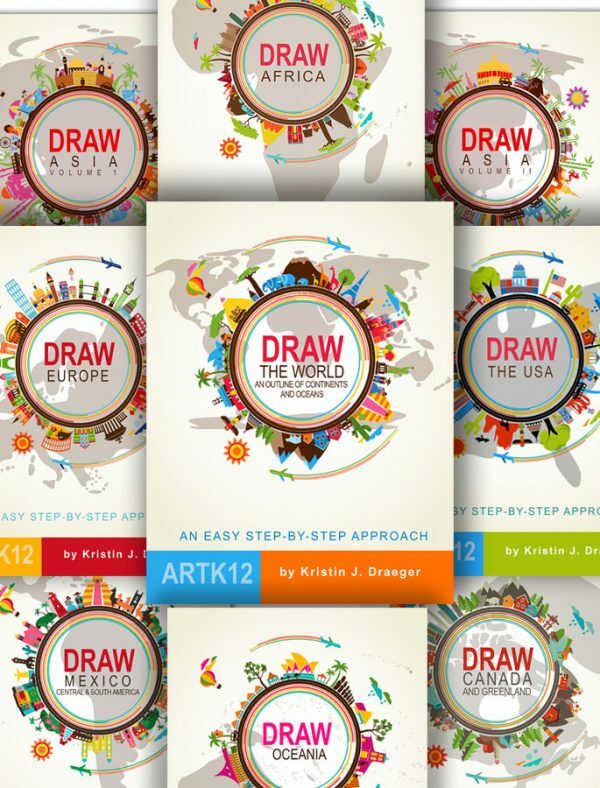 This is one of those books that is nonfiction, but manages to be interesting and engaging to children in the 3rd – 8th grade range. 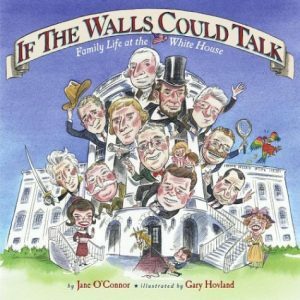 Through descriptive drawings, appealing speech bubbles and interesting tidbits of information O’Connor and Hovland weave an interesting narrative about the history of the White House. 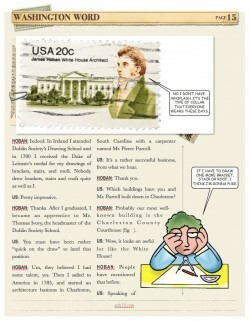 Jane O’Connor’s text is engaging and informative. In concise paragraphs, she manages to both relate some of the important moments in the history of the White House and its inhabitants and entertain her audience. For example, after stating that British soldiers set fire to the White House during the War of 1812 causing the inhabitants to leave in a hurry, she describes how the soldiers ate the food that Dolley Madison left on the table and even changed into clean underwear left in the laundry. O’Connor understands that children will find anything about underwear both interesting and memorable. Gary Hovland’s amusing and expressive illustrations do more than accurately illustrate the text they further explore the subject. For example, although O’Connor does not mention this in her text Dolley Madison was extremely worried about James who was away with the troops when the White House burned. 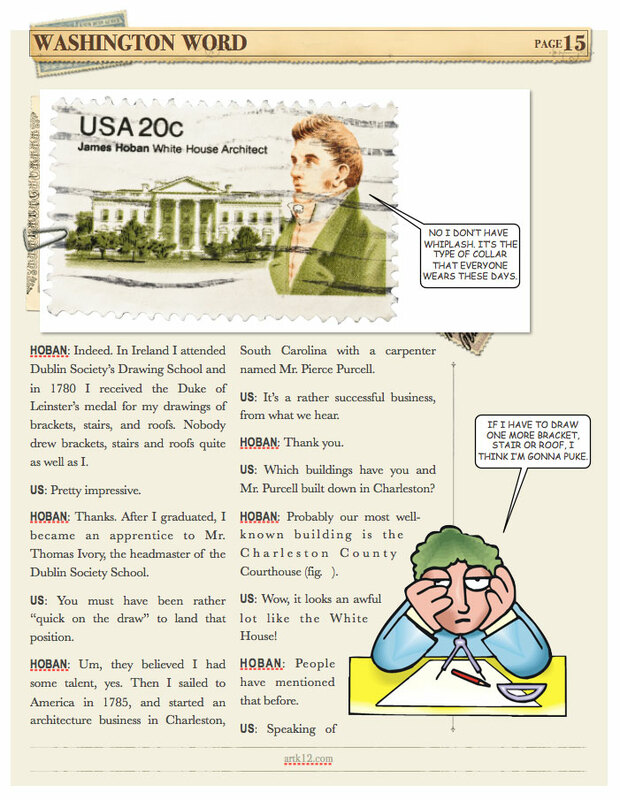 Hovland conveys this by giving Dolley a thought bubble in which is a picture of President Madison and by another speech bubble that expresses her worry. In addition he places a banner on each two-page spread with a pertinent quote by a president. The only caveat about If The Walls Could Talk is that it focuses more on the occupants of the White House than on the building. Important architectural features were added over many years after the initial construction, and although O’Connor mentions most of them, they are not the focus of the text. That said, both students and parents will both enjoy reading this title and in doing so will learn something (if not several somethings) about the history of the White House and its occupants over its two hundred year history.